An analysis found most of those whose registrations are in limbo are black in a state where an African-American is vying for the Statehouse. ATLANTA — Marsha Appling-Nunez was showing the college students she teaches how to check online if they're registered to vote when she made a troubling discovery. Despite being an active Georgia voter who had cast ballots in recent elections, she was no longer registered. "I was kind of shocked," said Appling-Nunez, who moved from one Atlanta suburb to another in May and believed she had successfully changed her address on the voter rolls. "I've always voted. I try to not miss any elections, including local ones," Appling-Nunez said. 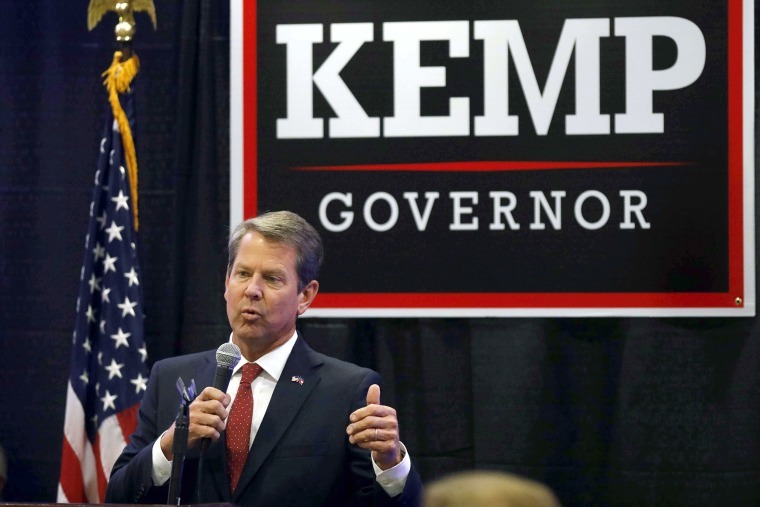 In a recent television appearance on Comedy Central's "The Daily Show With Trevor Noah" Abrams called Kemp "a remarkable architect of voter suppression." That's become a rallying cry for Democrats in the governor's race, which recent public polling shows in a statistical dead heat.